Chanel is launching a whole makeup line and it’s specially catered for men. While it’s no surprise to see men in makeup anymore (and doing it so well), to first hear about a collection dedicated to the gents is a whole different ball game for the beauty industry. Boy de Chanel, which is set to be released in early 2019, contains three products: tinted foundation, brow pencils and matte moisturising lip balm. This French label’s latest announcement is proof that men wearing makeup is fast gaining acceptance, and a welcome move towards gender equality. “By creating Boy de Chanel, its first makeup line for men, Chanel reaffirms the ever-changing codes of an unchanging vision: Beauty is not a matter of gender, it is a matter of style,” the brand said. The collection is named after Boy Capel, the lover and muse of Gabrielle Chanel. 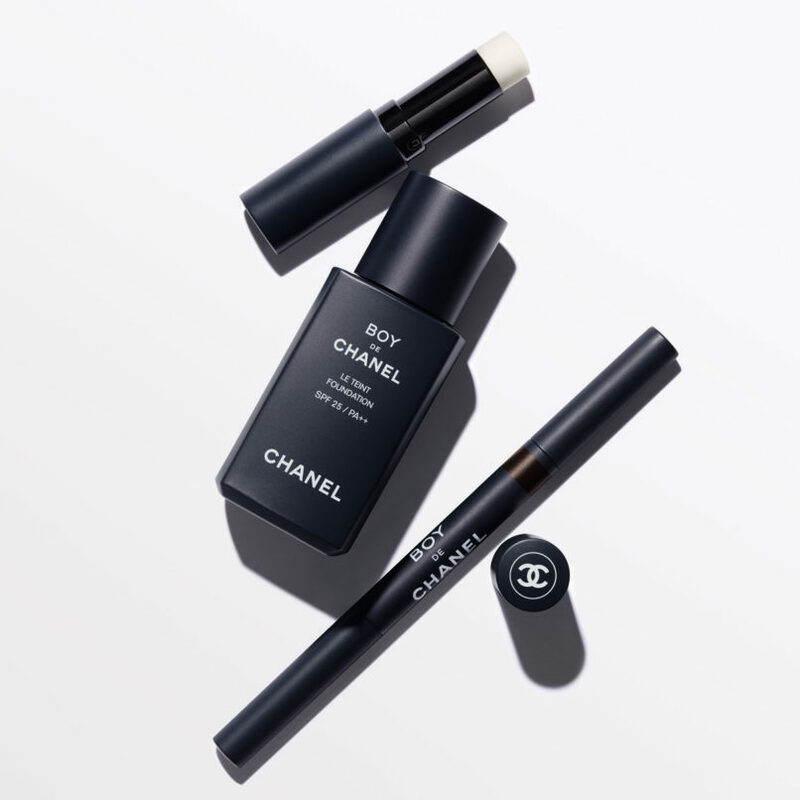 Just like how Gabrielle Chanel borrows elements from men’s wardrobes to dress women, Chanel draws inspiration from the women’s world to conceive these new makeup products — a new personal aesthetic for men. The new makeup line comes in the same sleek design as the women’s but in a midnight blue shade. 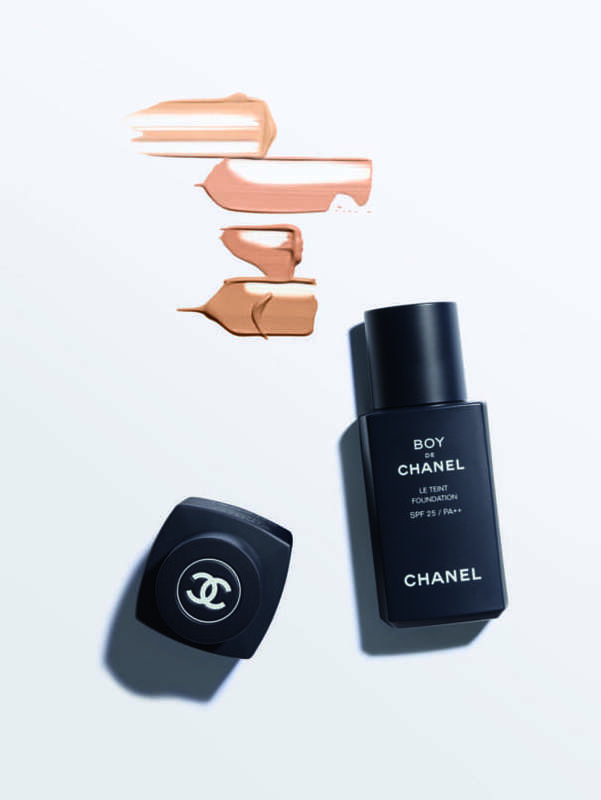 Le Teint is the tinted foundation in Boy de Chanel collection, which comes in four shades. It is infused with hyaluronic acid that allows the foundation to stay comfortable and matte on the skin all day long with a rating of SPF 25 for sun protection. As for the lips — there is a matte lip balm, unlike those that are often in a glossy finish. Le Baume Lèvres protects, softens, restores comfort, mattifies and hydrates for eight hours. The final product in the line, Le Stylo Sourcils contains a combination of natural flexible waxes and emollient oils that make application fluid and instinctive. 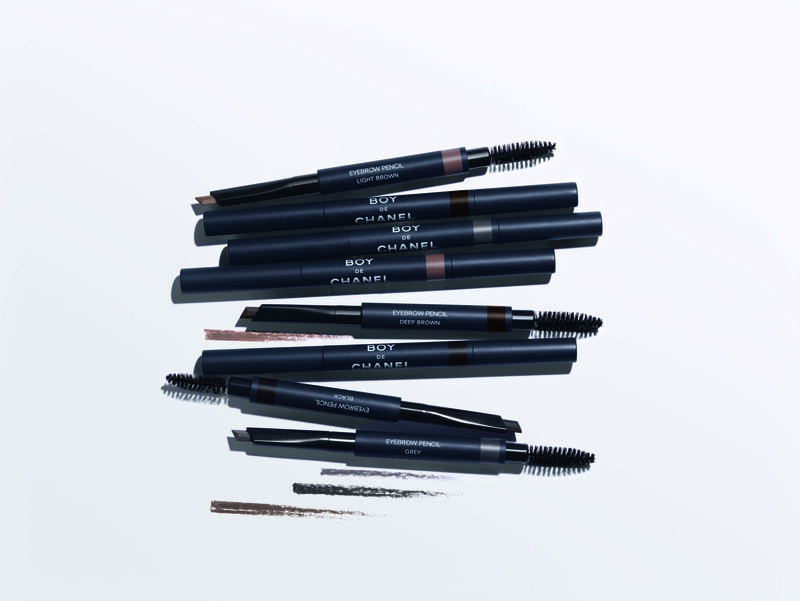 The eyebrow pencil comes in four shades, each lasting up to eight hours and they are waterproof. This latest overture could be a floodgate of makeup lines dedicated to men, and we are excited to see more coming soon to our shores. Boy de Chanel makeup line will first launch in South Korea on 1st September 2018, then the rest of the world in November on their website. It will be available in Chanel’s boutiques starting January 2019.